Gerhard Berger is much in the news today after his recent vocal support for Max Mosley's continued tenure as FIA President. The rumor of Berger's candidacy for Max's position is a bit unlikely, given that the STR manager is not free until the fate of that hapless team is decided; that will not happen until next year so, if there is any truth in the story, Gerhard must be thinking in terms of Mosley's survival to the autumn of 2009. If Mosley is voted out at the FIA meeting on June 3 this year, Berger cannot be a replacement - Alain Prost's willingness to do the job makes him a far more likely successor, therefore. More interesting from a practical point of view are Berger's remarks regarding the debut of the Toro Rosso STR3. He is quite pleased with its performance at the Monaco GP, the car having lasted the race and scored points in the hands of Sebastian Vettel. Given that the car is now openly admitted to be a Red Bull RBR4 with Ferrari engine and that it is delivered without improvements made by the parent team to date, one would have to caution Gerhard slightly over his optimism. This is the car that seemed rather fragile at first, losing its wheels in spectacular fashion when David Coulthard had the effrontery to run over a curb, remember. Even though it was subsequently passed by the stewards as strong enough, I would suggest that STR have a word with Dietrich Mateschitz about any strengthening that might be needed. We should also recall that STRs seem to perform above expectations in the wet; why this should be so much more noticeable than it is in its sister car is unknown but might have something to do with its only variation from the RBR version - its Ferrari engine. This may introduce a slight difference in weight distribution and/or delivery of power to the wheels. If that is so, it would explain Vettel's excellent race at Monaco but would cast doubt upon the car's performance in the dry. I suspect that STR have a lot of work to do before the car becomes as competitive as they hope it will be. This is an appropriate moment, too, to consider STR's effect on the customer car issue. Looking back to the beginning of 2007, it will be recalled that the two customer car teams looked a good deal more threatening to independents than they do now. Super Aguri were using the Honda chassis that had won a race in 2006 and STR were about to receive the first of Adrian Newey's designs for Red Bull. It is no wonder that Spyker, soon to become Force India, and Williams sat up and took notice. Since then, the threat has proved a good deal less than was expected; SA put on a fine show by giving Honda a run for its money but did not really gather a mountain of points, and STR struggled with a difficult car that shone only in the wet. But the process had been started and resulted in the ban on customer cars that saw the end of Prodrive's attempt to enter F1 and the subsequent demise of SA. With STR now the sole representative of F1's brief flirtation with customer cars and the team's future very dubious, thanks to the unlikelihood of a buyer being found for Mateschitz's shares, it is hard to see a route for new entries to the F1 grid in the future. The problem now confronting the sport is dwindling grids, not customer cars. And this surely highlights the fact that the concerns of the moment should not be given so much weight when considering rules for the future. It was always obvious that a ban on customer cars would make it almost impossible for new teams to enter and this should have been a deciding factor in any decisions made, not the hype surrounding one engineer's designs or the fear that a small team would do as well as its supplier. Of course, the problem was caused by the conflict between FIA rules and the Concorde Agreement - one seemed to allow customer cars, the other did not. Which forces me to the conclusion that the Concorde Agreement should not be a regulatory document. It should be a point of contact between the teams and the FIA, yes, but the rules should remain entirely in the hands of the governing body. And that brings me back to Prost's candidacy for Mosley's job. I never liked the little Frenchman when he was a driver but, judging by his recent remarks on how the sport should be governed, I have to say that he seems to know what he is talking about. He has seen to the root of the sport's present problems and has a clear vision of how they might be tackled - and that is more than can be said for Max Mosley, whose primary concern is to prove how naughty the News of the World has been to publish details of his sordid private life. The VisioF1 has not yet up dated so I have a similar toy for you to play with. In fact, I think that the access to data is better than visionF1 but doesn’t have the past data, what is a pity! The Berger story has to be complete fantasy. How can a team principal become FIA president? I like Prost and Senna as drivers although in many ways they were opposites. I think the sporting side of the FIA has to be separated from the main body. FISA should be re-instated and I would be more than happy with Prost running FISA. He at least has stepped away from the sport for a few years and has had time to reflect on it rather than stepping from competing to running it in the case of Berger or Todt. If you have been involved in running a team you cannot have a totally balanced point of view becaause for a number of years you have looked at something from one viewpoint and with the self-interest inherent in the view. Prost's team was a disaster but that had more to do with becoming embroiled in a French nationatl dream team than in Alain's ability. Had he as he has since suggested bought a team in England and run it as a normal F1 team he would have had a lot more freedom to do a good job. i had more or less ruled prost out because i figured that the strong feelings he evoked in people as a driver and later as a team owner might weigh against him. it didn't escape my notice that his was the one name not being shopped when the mosley mess came up. i have to agree though. except for a completely capricious whim that made me root for eddie jordan, i think he'd be a fair replacement. the fia has got to sort out what direction they're going to take whenever max leaves and prost might just suit. but i admit to being a bit partisan where the man is concerned. and am i mistakenly recalling something about him having some sort of involvement in a French sporting commission or something after PGP folded? Maybe there was just talk of him being appointed. I can't remember. As far as berger is concerned, when i read about this all i could call to mind was what a toxic atmosphere had to be boiling in that team last year for what happened with scott speed to have gone down and at the time i placed alot of the blame for that on berger. i'd say his management skills may be questionable at best. i know that's not the only thing i should base an opinion on but, honestly i don't think he's shown enough brilliance to off set it. As it happened, I sat firmly on the Senna side of the Prost/Senna divide at the time, but came to appreciate 'le professeur' in retrospect. For what it's worth I don't remember Prost taking any motor racing job on after his team folded. I remember him disappearing off the face of the earth to lick his wounds. Of course just because I remember it that way doesn't mean it happened that way. no, steven you remember correctly. what i was thinking of wasn't a motor sporting postion. like i said, it may have just been a rumour but i thought there was talk of him taking some sort of general sporting position with the chirac government. i was never really sure if he ever took such a postion but looking for it now i don't see it turning up anywhere in the online thumbnail bios so i guess it never happened. Leaving aside the pros and cons of customer cars (anyone who's been following this blog for a while will probably be bored silly with my opinion on that subject...), the FIA regulations did not and still do not permit customer cars. This was Spyker's original angle on the case. It just so happens that Concorde and FIA regulations alike ban customer cars, and that Max made a hash of changing the FIA regulations to re-allow them. Article 6.3 of the 2007 Sporting Regulations clearly says that "The constructor of an engine or rolling chassis is the person... ...who owns the intellectual property rights". Article 3 of the Concorde Agreement apparently says something very similar. If one of the two permits customer cars, then the other does. If one of them doesn't, neither does the other. I'm not sure Prost is going to stand, but if he does he would be a candidate with some sensible ideas. I can see him being popular with the large touring organisations who are threatening to secede from the FIA. Berger would almost certainly be a pro-Mosley candidate, in which case the whole thing makes sense because the pro-Mosley brigade are hoping Mosley himself will carry on until 2009 (at least). IIf Berger can get rid of the Toro Rosso albatross, then he would be available. Though furthering the Mosley agenda is not what the FIA needs right now. After Prost's team went under, Alain went ice-racing (he's won the Tropheé Andros for the last two seasons). Funny, I had never even considered Prost as a replacement for S&Max -probably because as you say he just disappeared off into the ether once he stopped racing. When you don't hear much about people and almost forget about them they don't spring to the forefront of your mind when considering possible candidates. And if I did think of Prost, I probably assumed that his lack of visibility and participation in todays motorsport meant he was shot of the whole thing. But a bit of time and perspective can work wonders, and someone who has been observing from afar (read: not caught up in any of the hoo ha) might be just what the doctor ordered. Alianora: your knowledge of the F1 regs is amazing, to say the least. I would even go so far as to suggest you know them better than the FIA does ! Perhaps you should offer your services for the re-write that is so desperately required? I am sure you'd do a far better job than the powers that be. I also have to agree that Prost might be a good candidate for the FIA presidency. But i have one more to ad to the list. There are one person who have been quiet since his departure from F1. Tha man who built Toyota F1 from the ground up, at least as far at the Toyota-board allowed. Ove Andersson is one who have been into motorracing since he was borne, and have a firm understanding of how things work and probably also knows quite well what to do to put some lfie back into F1 instead of just let it suffocate from it's own rules. And there was also one mentioned tt i have a hard time to accept, Eddie Jordan is of course one of the greats in F1, running a successful team and winning some races and a championship. But he also made som of the greatest of flaunts that i can remember, almost bringing the team on it's knees a couple of times. But i have also heard some people sugest Damon Hill to be apointed to Max's officeplace. And to me that sounds as a really good idea. As far is i consider, he might be one of the best persons to put in that place, with just Alianora claiming more pionts in my private list of candidates. when he threw his name in? correct me if I am wrong but as far as I remember only Mateschitz's share of Toro Rosso is up for sale and if I recall right Berger had no plans to sell his. Alain Prost, Eddie Jordan ? Well they buried their own teams - is that the qualification required to run FIA ? Only Mateschitz's share of STR is for sale and so far they have not received a single offer. There have been rumours of Lancia buying his stake which would effectively give Ferrari a B team but it is only a rumour. Eddie Jordan didn't bury his team, though I will admit that if he hadn't sold it to Alex Shnaider at the moment he did, Jordan would have gone the way of Prost. As for Prost himself, he needs reliable deputies to be effective - which he didn't have at Prost and will not be easy to obtain in the FIA with Max's lack of emphasis on developing subordinates. Prost F1 showed that if Prost does not have good deputies, he cannot make up the difference on his own. Not many people can, but it's something to consider because the prospective president has to select a cabinet before election and Prost's choice may be limited due to the Mosley split. 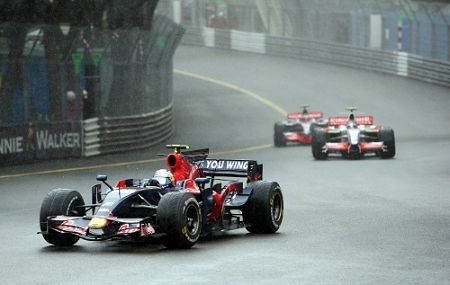 I think it's too early to tell whether Toro Rosso will sell or not. There's not much interest now, but people may simply be waiting until it is closer to the time and the team is cheaper. Also, if Berger is offered the FIA presidency, I could imagine him changing his stance on holding the Toro Rosso shares. That said, Max Mosley held shares in Simtek in the early days of his presidency, so perhaps Berger could simply copy the precedent. It wouldn't be good from the perspective of bias, but that may not stop him. Prost's main problem with Prost F1 was that he came under huge political pressure from the French governement to be the French national team. They wanted him to use Renault engines, Michelin tyres, Elf oils and fuel etc regardless whether or not those were anywhere near the best. They pushed him to employ French people in positions where there were better people of other nationalities. Had he set up a team in England or bought an existing team in England things could have been very different. I have always seen similarities between Prost and Stewart and someone with similarities to JYS running FISA can only be a good thing. Becken: Thanks for the link - that website is excellent and will be a very useful tool to me. Adding it to VisionF1 (which, as you say, is better on the history side), gives a very full account of previous races. I am sure Bernie would be only too happy to lend you a plane if you didn't look too closely at a certain 100 year agreement. He would probably throw in a few million if you made rulings favourable to him. I don't think Eddie Jordan is such a capricious whim. When you look at whose job he would be taking, Eddie would be a vast improvement! Oops, sorry - that last reply was to Verasaki. You guys have been busy while my back was turned - having trouble keeping up! Alianora: As I understand it, the meaning of "intellectual property rights" was going to be STR's and SA's main point of defence in the arbitration started by Spyker. STR especially thought they had a good case and this leads me to think that things were not quite as clear cut as a straight ban on customer cars. If they were, I cannot see why STR and SA entered into arbitration in the first place. This does show up the trap in writing regulations that the FIA has fallen into so often in the past - rules have to be very clear in what they mean or lawyers will twist them to mean whatever is desired. The intellectual property thing is just too vague to be a part of any rule and a better description should have been found. Peter: I was thinking about Prost's suggestion that the FIA be split into two sections, one dealing with motor sport, the other with road safety. This would effectively bring the FIA back to the structure it had in the days of FISA - and it was the absorption of FISA into the FIA that caused many of the problems we see today, in my opinion. So anyone who will bring back something along the lines of a body concerned purely with motor sport gets my vote (if only I had one!). Prost's thoughts on the technical aspects, as so kindly referenced by you, are also heading in the right direction, I think, and this increases his suitability as a candidate. F1Wolf: You are quite right that Mateschitz owns only fifty percent of the STR shares. But the team cannot continue if Mateschitz withdraws without selling to a buyer who can afford to invest heavily in the team - Berger just hasn't got the kind of money required to convert the team into a constructor. And that is the reason why it is extremely unlikely that a buyer will be found; even though the old Minardi facilities are still there (making the team a better proposition than was SA), it will still cost a lot of money to build a constructor's team on that foundation. Don't forget that new equipment and personnel would have to be brought in - the only real value in the Minardi heritage is the land and the buildings. And that means the kind of investment that very few private buyers can afford, with no guarantee of success at the end of it. Dave Richards shied away from the prospect of having to create a constructor team, in spite of the considerable clout of Prodrive - who else is there that would find it feasible to take on STR? I think we can forget the idea of a manufacturer stepping in. Apart from anything else, there just isn't a manufacturer who would be interested in the near future. VW/Audi keep saying they won't do it but nobody seems to believe them. I do. The point is really that a failed F1 team is not really of relevance when it comes to picking a president for the FIA. If it were so, we would have to stop wishing for Jackie Stewart for a start. Eddie Jordan made a very good job of running his own team until the last few years when sponsorship became much harder to find - and no one is better at finding sponsors than Eddie. It's a different task - the FIA President doesn't have to worry about finding sponsors; his job financially is only to operate within his given budget. Far more important is his ability to understand the sport and to have a clear and reasoned vision for its future. Steven and Alianora: You slipped one in there while I was working, Steven! So our next step in the quest to make Alianora a candidate is to get Bernie on board. It's going to take a master of intrigue and negotiation to achieve that - do we have any volunteers? Clive, STR and SA entered into arbitration because according to the Concorde Agreement (yes, I can hear you groaning from here!) says that the Swiss Court of Arbitration is the final authority on the matter. Not defending themselves would have resulted in SA and STR having to pull out of F1 while making a new car. The case started at the start of 2007, so to do that would almost certainly have meant that they'd have missed multiple races and thus lost their place in the F1 championship. Defending themselves to the Court was a survival issue. I should have known better than to try to pull the wool over your eyes on that one, Alianora (yes, I knew about the huge hole in my argument but hey, I had a lot of comments to answer and still haven't started today's post). You're right, of course, STR and SA had to defend themselves. But it remains true that they thought they had a good chance of success. When lawyers are involved, anything is possible! Actually, I _had_ forgotten March, and find them an interesting history lesson regarding a comment I made that ended up rambling about customer cars. Q: Why aren't Williams, SA, FI, etc. trying to earn revenue to compete by selling cars in F3 and other series like Dallara do, or why don't Dallara compete in F1 for all the exclusive chassis they make around the world? A: Look how well that worked for March. Frank Williams said in last month's F1 Racing that Williams was not big enough to do road cars. I'm not sure whether this also precludes cars in other series. Force India are barely big enough to run a constructor F1 team never mind a junior series construction business and all the other candidates are either already doing at least one junior series as a constructor (A1GP, Renault World Series, Formula BMW, Mercedes DTM, Honda's Repsol MotoGP team) or they are Red Bull, which appear to be more interested in developing drivers and aren't worrying about revenue as much.